New Year, new you! 2019 is the year you should finally take that plunge and start your journey to a perfect smile with braces. It doesn’t matter if you’re a teen or an adult, you deserve to have perfectly aligned and healthy teeth! Young or old, braces are a great option for you! You might have just accepted that you are going to have crooked teeth for the rest of your life, but there are a few health-related reasons you should not just accept it. In addition to crooked teeth being less desirable for aesthetic reasons, they can also cause pretty intense health concerns. If your mouth is overly crowded or your teeth are overlapping, it will be more difficult to clean your teeth thoroughly. This can lead to tooth decay and gum disease which, obviously, are not good! Also, if your teeth don’t align properly when you bite down, it can lead to problems with chewing and swallowing. This is called malocclusion and can be fixed with orthodontic treatment. Getting braces or Invisalign at any age is a big commitment of time, and for adults, it is also a financial commitment. The cost of orthodontic treatment is the main reason why many people decide to live with their smiles. But there are many ways to make it affordable, including insurance, payment plans, and discounts. You absolutely can get your teeth straightened in your adult years of life rather than your younger years, but the younger you are, the easier your treatment can be. As you mature, your bones stop growing and your teeth are more securely anchored, so making the necessary adjustments may take a little longer than it would have in your teens. Standard treatment time for braces is about 18 months to two years, so if you’re wanting straight teeth by a certain date or for a special occasion, plan accordingly. It’s just as important to pick the right orthodontist for you as it is to use the right treatment. Take advantage of the free initial consultations most orthodontists offer to find the best fit before you start treatment. Although silver braces are most people’s first thought when they think of the journey to straight teeth, there are many different options. Invisalign and ceramic braces are both excellent choices for those who wish to be a little more discreet during their treatment. Ceramic braces are very similar to regular braces, but are significantly less noticeable. 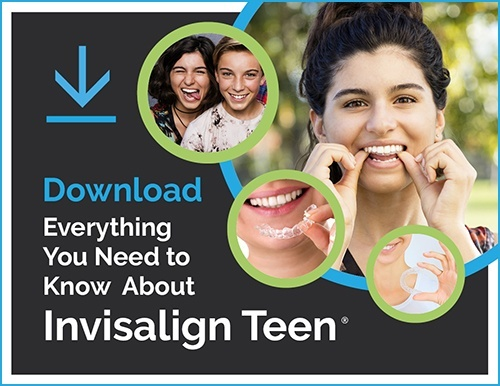 Invisalign offers many benefits, including invisibility and the ability to remove them when eating, brushing and flossing, and playing sports that require a mouthguard. We know getting braces can seem like a very daunting journey to go on, but our team here at Milnor Orthodontics is committed to making the process go as smoothly as possible for you and finding the best option for you and your lifestyle. Don’t ever think that you might be too old for braces! No matter your age, you deserve a smile you’re proud of. And at the end of your treatment, you won’t be able to stop smiling.